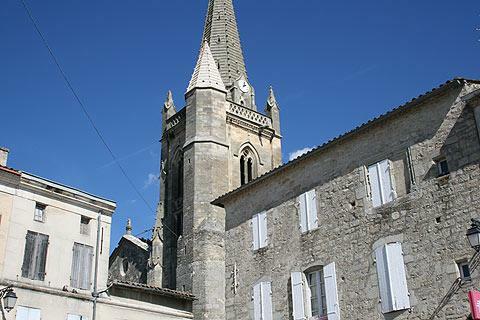 The town of Monsegur is a bastide town, situated on the Dropt river in south-east Gironde. This area of countryside between the Dordogne and the Garonne rivers is known as Entre-Deux-Mers. 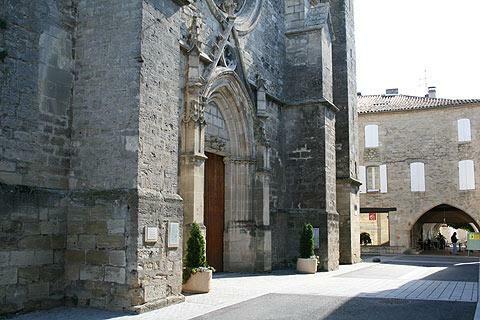 Note: there are several places called Monsegur (and others called Montsegur) in France, so be careful if you are booking a 'hotel in Monsegur' that you have found the town you are looking for! 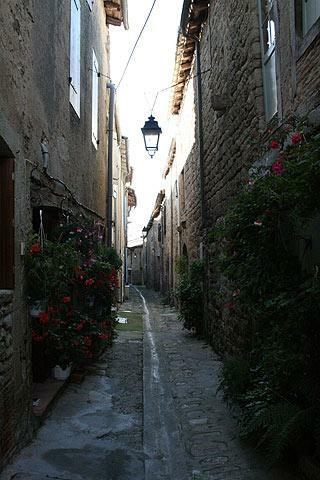 Founded in the 13th century, Monsegur is an 'English' bastide: that is, it was founded by the English when they occupied the region before the Hundred Years War. France This Way comment: Monsegur is pleasant to visit but there are limited highlights so doesn't take long to explore. Overall, we would recommend you visit if you are in the region but would not travel a long way to come here. 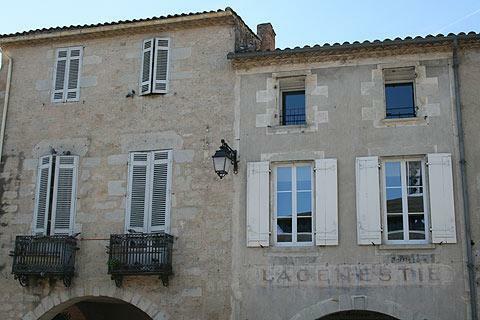 The town has all the typical characteristics of a bastide such as a central square surrounded by covered arcades, and straight roads radiating off from the centre in a grid pattern, interconnected by even narrower alleys. 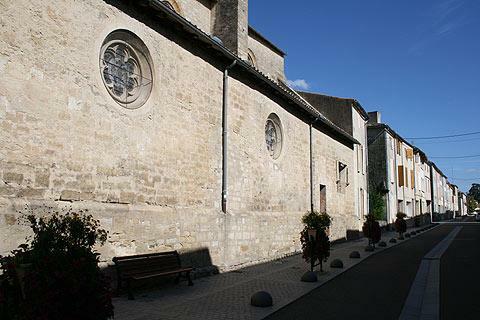 This layout was defined when the town was built in the 13th century and is largely unchanged today. There is a church in the centre, the Church of Notre Dame, that dates from the 13th century and contains some interesting stone carvings as well as some traditional half-timbered houses to enjoy. 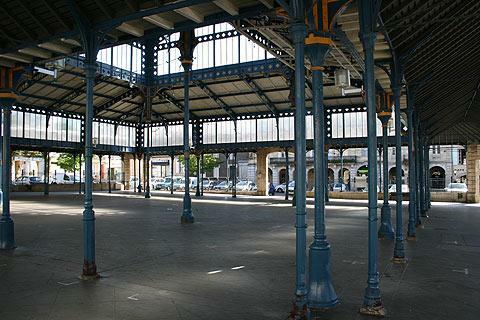 The original wooden market hall that once stood in the centre of the square has unfortunately now been replaced by a 19th century hall made of ironwork and glass, which is perhaps rather larger than the original and dominates the central square. Another notable feature is the so-called Governor's tower, built in the 15th century to house the staircase of the Governor's house and with several interesting decorative features around the entrance doorway. Monsegur is slightly unusual in that a significant part of its original defensive ramparts remain intact, and give you the chance to walk the two kilometres around the town while enjoying the attractive views across the Dropt valley and surrounding countryside. Market day is Friday in Monsegur and a good time to visit to see the town at its liveliest - be sure take the time to sit in a cafe in the square and watch the world bustling by after buying your fruit and vegetables. Many of the most popular and interesting towns and villages in the area follow the Dropt river as it flows westwards - see information of some of the highlights at Dropt Valley. 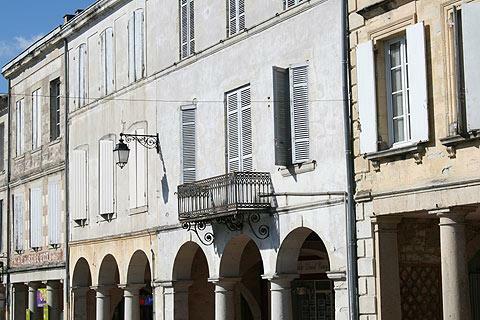 Among our favourite towns close to Monsegur are La Reole and Eymet.